In the 3 Ts (and an S) of Productivity Series, I am looking at the Tools, Techniques, Tips and Skills for being Productive. I always want to be able to achieve the most possible, whilst doing the least possible (or spending the least time doing it). Therefore I’ve always tried to find systems or procedures to help me with my pursuit of this goal. I do however have to balance this with my, not perfectionist side, but my quality control which requires me to accept when ‘good is good enough’ and to be of a reasonable standard. These topics will be explored in later posts. So here are the skills that I think you need to master in order to be productive. How are you getting on with these? I guess that this is a good place to start! Unless you have objectives for the task you are going to undertake and know what you want to achieve and how you plan to get there, then how can you be effective? If you are not clear on what you want or need to end up with then how can you find the best route to get there? SWOT is a simple way of illustrating that unless you know (or at least admit) your SWOT in achievements how can you carry out tasks effectively? Know what you are good at and focus on that, delegate other stuff you are not good at. You can change or influence your SWOT but it takes work and planning. Maybe these could be linked to your goals. See my post on SWOT analysis here. Keep it Simple Stupid KISS. This is an area that I am both good and bad at. I do enjoy keeping things simple, but I also am always seeking more knowledge on the subject at hand. Whilst a thirst for knowledge is by no means a bad thing, it is only seeking and acquiring the relevant knowledge to achieve a specific ends that is the skill of being effective. Constantly seeking new systems is actually not effective, you’ll probably revert to what you already know anyway. I’m not saying that you should compromise quality to finish a job. Knowing what level of quality is required and when ‘good enough’ is Good Enough is a skill for productivity and knowing the correct level of standards for what you want to achieve. In modern workplaces many people think it is good to multi-task. This is the whimps way. Single tasking is the key. Remember the times when you were allowed to concentrate on just one thing? Without the constant distractions of the phone email, IM etc. chances are that you probably achieve more in less actual and elapsed time and it was probably better output. You probably created your own distractions and procrastination activities. Focus – find your zone. There are several things you need to eliminate in order to use these principles. Become a master eliminator and learn to say NO! Is everything you are doing necessary? Are you taking the simplest route from A to B using the simplest method? The less complex you make things for yourself the more likely you are to achieve your objectives. This really applies to the amount and quality of work that you do rather than the individual tasks so it is the quality (using above points) of work that you do over the quantity (less hours) that is most important. Measure your results not the time you have spent on a particular activity. Eliminate to find that correct quality. Also know what is good enough. 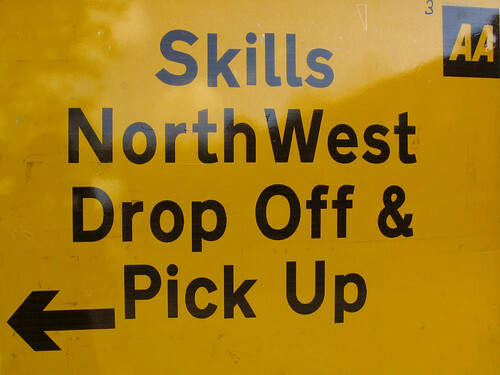 This post is very much about what I have understood as skills for productivity so far. There is a lot of interrelation between the points and more detail behind all of them. There may also be other ones but these are what I came up with so far in a bid to keep it simple. My idea for this post came from trying to design (based on research) my own principles for how to be productive. These are more habits/skills for to consciously work on, whilst Covey’s 7 habits are more characteristics. i.e. you either are or aren’t proactive. What skills do you think are needed to be productive?